The Best Berlin Food blogs from thousands of top Berlin Food blogs in our index using search and social metrics. Data will be refreshed once a week. Berlin About Blog All about Berlin Food, Restuarants, Restaurant reviews, Street food, Eatries and more. Berlin About Blog A food blog from Berlin - uncomplicated, everyday and delicious. With recipes for cooking and baking. Facebook fans 747. Twitter followers n/a. Berlin About Blog Berlin based food, lifestyle and travel blog Riots not diets! Facebook fans 4,404. Twitter followers n/a. Berlin About Blog Sattundfroh - Eating out in Berlin is a Restaurant Review Food Blog in Berlin. Georg blogs daily about local in Berlin. Berlin About Blog All about Where to eat, reviews, the best chefs, restaurants and food trucks in town, and all about the food scene in Berlin. Facebook fans 24,111. Twitter followers 3,644. Berlin About Blog Eating and drinking in Berlin. Here you will find everything about bars, cafes, streetfood, weekly markets, snack bars and, of course, restaurants in Berlin. Facebook fans 44,603. Twitter followers 474. Berlin, Germany About Blog We are Berlin's biggest fans! Awesome Berlin works hard to bring you our favorite things about this awesome city. We discover the best things to eat, where to eat, cool tips on food, restaurants and restaurant review. Facebook fans 26,268. Twitter followers 5,208. Berlin About Blog Berlin blog from visitBerlin with insider tips for the capital's Food and Drink guide. Facebook fans 84,789. Twitter followers 69,784. Berlin About Blog The Berlin Guide Book is a blog by Urban Apartments. Here we recommend to guests and friends of Berlin our personal favorite-and-feel-good-places, bars and restaurants, whose hospitality we like to enjoy ourselves. Also small shops where you can find real Berlin products and labels, and last but not least a lot of art and culture. Facebook fans 93,707. Twitter followers 1,947. Berlin About Blog Cee Cee was founded in April 2011 by Sven Hausherr & Nina Trippel. We want to share. And indeed with you, because we are subject-searchers, world travelers, things-tryters and rumsurfer. Therefore, we know where in Berlin a new bar is opening, where you can get the most delicious cake and what new place it is worth to discover. Facebook fans 15,552. Twitter followers n/a. Berlin About Blog Hey, I am Laura, 24 years old and write on my Lifestyleblog "TRYTRYTRY", among other things on the topics DIY, Food, Travel and the beautiful life from Berlin and Hamburg. Facebook fans 26,340. Twitter followers n/a. Berlin About Blog The gastronomy blog with ideas about eating, drinking, going out and enjoying. For hosts, guests and suppliers. Facebook fans 3,293. Twitter followers 1,349. Facebook fans 561. Twitter followers 1. Berlin About Blog On my food blog Heartfood I show my most creative recipes and moments of happiness! Facebook fans 2,347. Twitter followers 1,488. Berlin, Germany About Blog Rae Tilly is a Berlin-based creative. She has founded @lfbblogazine, works as a freelance photographer and shares her experience in Berlin through photos. Facebook fans 548. Twitter followers 1,052. Berlin, Germany About Blog Hello World! On Samieze the two Berlin women Samira and Laura share their passion for fashion. But not only the fashion, but also the love for good food is a hobby that both live on Samieze. The blog has been in existence since April 2014 and there are 3-5 times a week new articles on fashion and food. Facebook fans 17,898. Twitter followers 357. Istanbul | Berlin | Münster About Blog Hey there, I’m Deniz a Strategist, Cookbook Author & Food Blogger based in beautiful Berlin! Tales from my fructose free, sugar free wheat free life in Istanbul Berlin! Facebook fans 1,752. Twitter followers 532. Berlin, Germany About Blog Superfood Blog by Berlin Organics. Here you can find recipes for Bio Superfood drinking powder and Superfood mixtures for smoothies and food. Facebook fans 5,080. Twitter followers 69. Berlin About Blog Fraeuleinchen is a new young magazine where everything revolves around food, their preparation and, above all, their enjoyment. Besides the recipes we create ourselves, we also cook and pass on to you as well as beautiful photos of delicious dishes, there will be much more. Facebook fans 2,851. Twitter followers 178. Facebook fans 289. Twitter followers 57. Berlin About Blog Cooking, baking and delicious dine. Recipes and suggestions of all kinds in my "eat" section. Facebook fans 1,289. Twitter followers 132. Berlin About Blog Fashionlunch is a fashion and food blog, led by me, Tara-Louise. Here I write almost daily about my thoughts, post new recipes and especially new outfits. Fashion and food are my hobbies and on this blog I try to combine the two things as best it can. Facebook fans 2,832. Twitter followers 110. Berlin About Blog This blog is written by the Dani & Josi. We show you our Berlin. Especially with carefully chosen restaurants. Nothing brings people closer together, than good food, a lot of time and a large table. The food part is the heart of our blog. We both love to cook and to share with friends and family. Here you will find on our blog a colorful mix of recipes, as it is also found in our everyday life. Berlin About Blog Here you will find vegetarian and vegan recipes for cooking beginners and culinary explorers. I developed and photographed all the recipes myself. I love to spend hours in the kitchen and develop my own recipes. Whether sweet or hearty: I love to swing the cooking spoon. I love to try new recipes and ingredients, so I do not want to boredom on the plate. Facebook fans 1,634. Twitter followers 238. Berlin About Blog Hello, My name is Sabrina. My heart beats for good food, photography, design, interior, my favorite city of Berlin and many other things. I love cooking and baking, eating out and traveling. On my blog I share my culinary preferences with you and show recipes that are easy to prepare with few ingredients and selected restaurants and places that I like and have the certain something. Berlin, Germany About Blog Hello I am sandra , on my blog I write about latest Food and Lifestyle trends in Berlin. Facebook fans 787. Twitter followers n/a. Berlin, Germany About Blog Explore the German culinary heritage of seasonal and regional vegetable, fish and meat dishes, fruit desserts, and learn about herbs, their healing powers and a cultivation of organic gardening since the 1920s. Facebook fans 83. Twitter followers 4. Facebook fans n/a. Twitter followers 678. Wedding, Berlin About Blog Delicious dishes from the oven, the stove and the refrigerator - with recipes, of course. And if you want to know what is in Berlin at exciting locations is recommended, here comes at its expense. Everything tested and found for good - delicious. Facebook fans 186. Twitter followers 39. 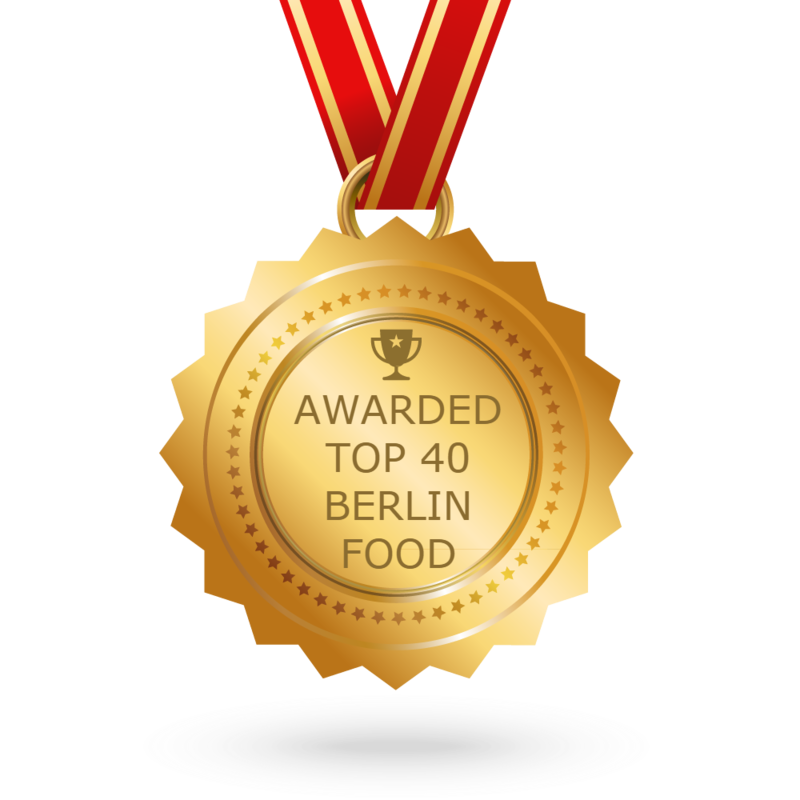 CONGRATULATIONS to every blogger that has made this Top Berlin Food Blogs list! This is the most comprehensive list of best Berlin Food blogs on the internet and I’m honoured to have you as part of this! I personally give you a high-five and want to thank you for your contribution to this world.